JIS Group Educational Initiatives - the largest educational conglomerate of Eastern India with 26 Institutions, 126 programmes and 35,000 students began its journey 18 years back. The journey, though not easy, has been quite a successful one. JIS University was established through the Legislative Act of the Government of West Bengal, viz. JIS University Act, 2014 (West Bengal Act XXII of 2014) that came into force in February, 2015. The University has a mission to be one of the top class universities in India and a preferred destination for students, research scholars and faculty members alike. 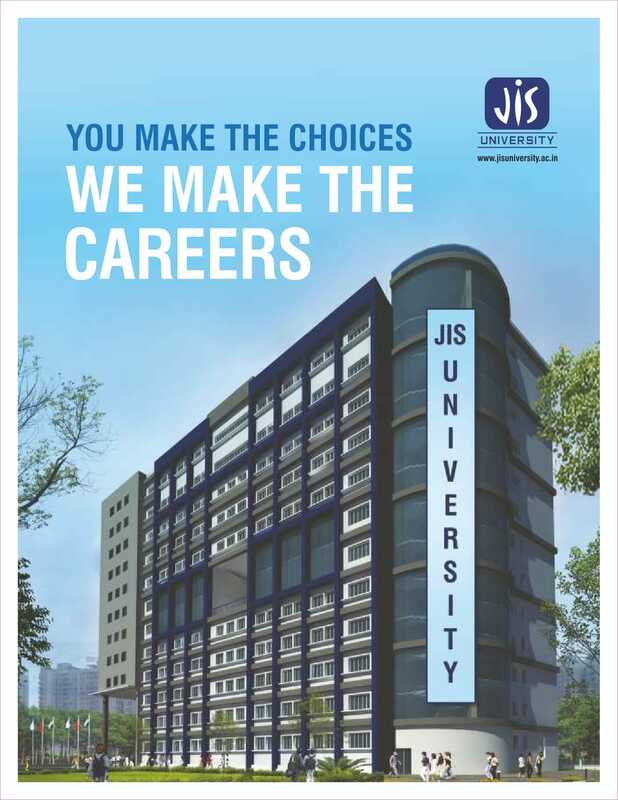 Students aspiring to study in JIS University can be assured of quality education as all courses are duly accredited and affiliated by University Grants Commission (UGC), New Delhi; Bar Council of India (BCI), Pharmacy Council of India (PCI), National Council for Teacher Education (NCTE) and United Nations Academic Impact (UNAI). Education in today's world has become industry need-oriented and it requires teaching methodologies to be fashioned in such a manner that suits this requirement. The Learning Management Systems (LMS) that JIS University has introduced will nurture future professionals who will be committed towards transformation in our society. JIS University contributes to the growth of higher education, research, entrepreneurship and skill development to blend traditional methods with modern technology-enabled teaching and learning practices and Research & Development. JISU has an objective to provide instructions, teaching, training and research in various branches and specialised fields of Science, Engineering & Technology, Pharmacy, Management, Law, Social Sciences and Education. Besides the traditional undergraduate and postgraduate courses, there are integrated B.SC. courses like Physics, Chemistry, Geology, Biotechnology, Microbiology, etc. Other integrated courses such as BBA-MBA (H) and BBA-LLB (H) are also available. 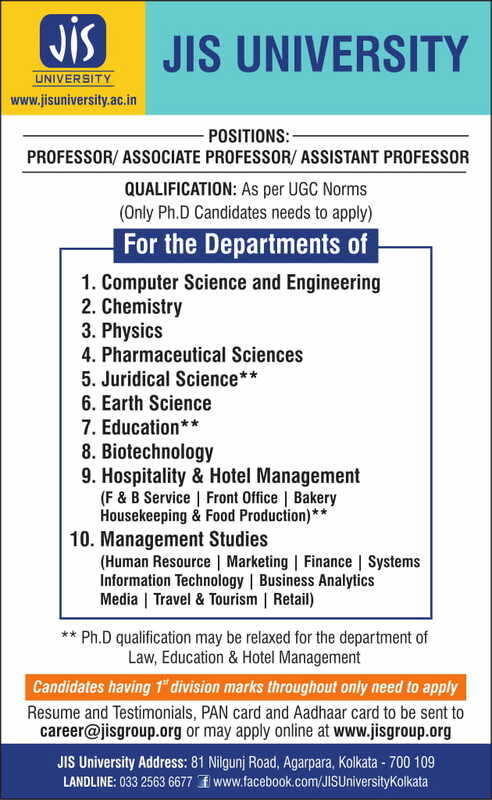 The University provides PhD programmes in various courses as well. Students are offered foreign language classes and are also exposed to international student internships through various student exchange programmes with foreign universities. The University always encourages entrepreneurship and skill development among the students for promoting entrepreneurship, employability and self-employment.